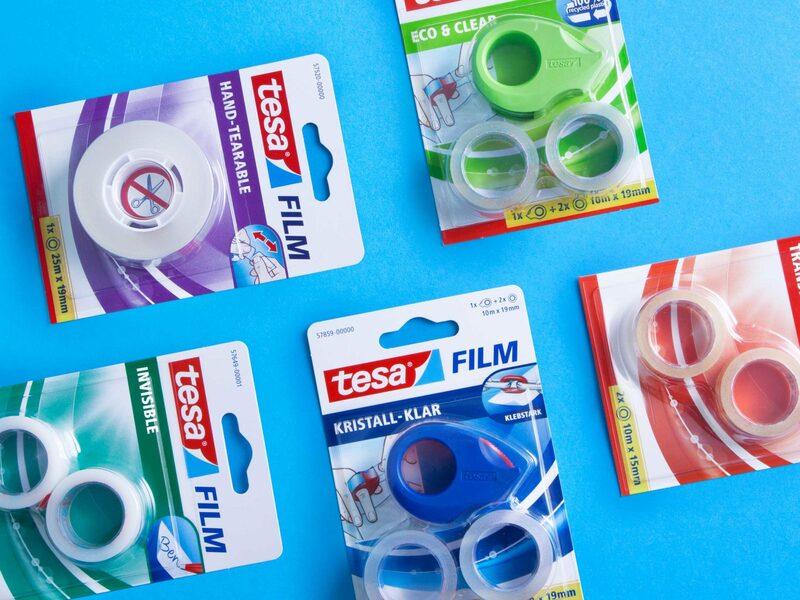 Let it roll – the relaunch of Tesafilm adhesive tape. 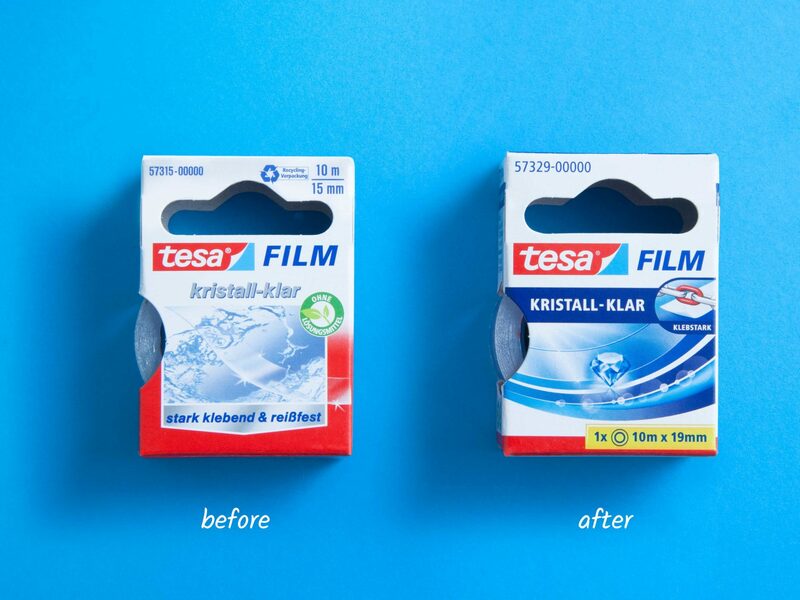 Tesafilm – first introduced in 1936, still the adhesive tape in Germany. 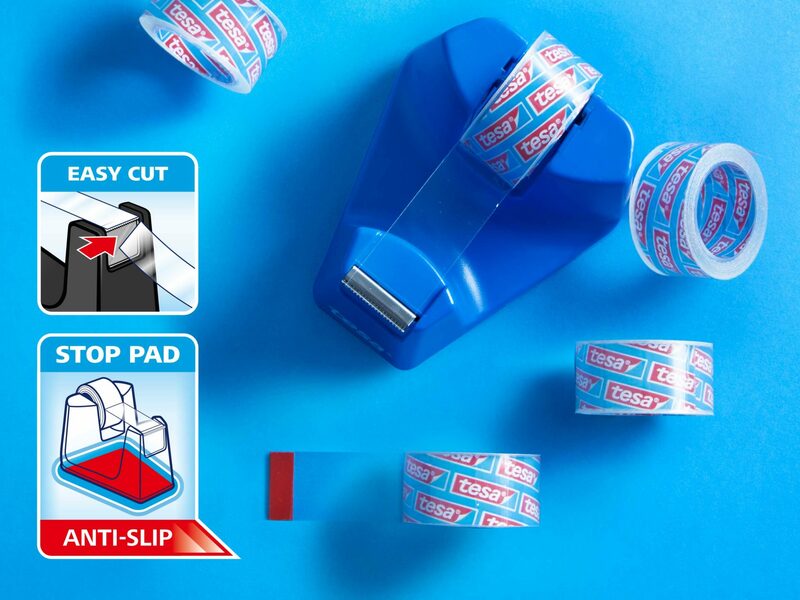 With its help tesa has become one of the world‘s leading manufacturers of technical adhesive tapes and self-adhesive system solutions for industry, craftsmen, and consumers. 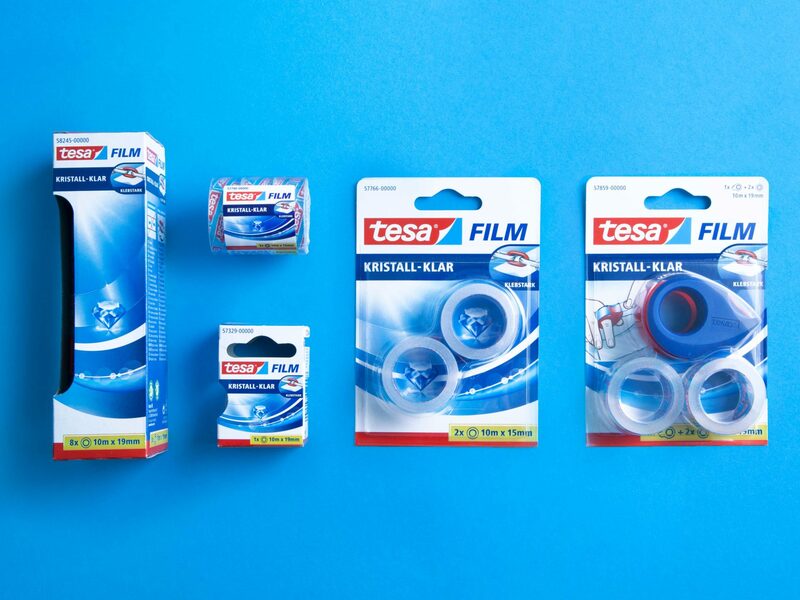 Brand new in the market there is the relaunch of the Tesafilm range – modern, dynamic and appealing by uniform and advanced range icon („smiling tape“). 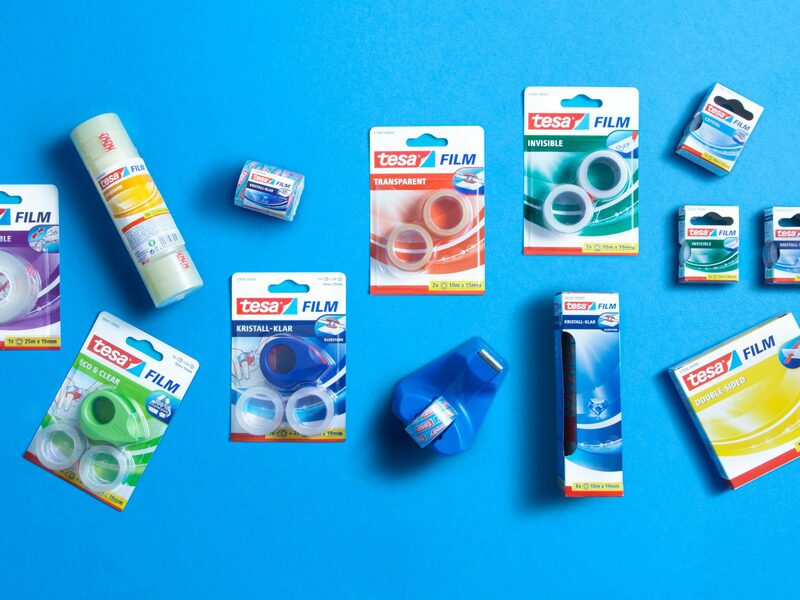 Attractive and high impact colours for product differentiation offer the customers a better orientation while navigating within the product range. An effortless consumer experience when re-buying. 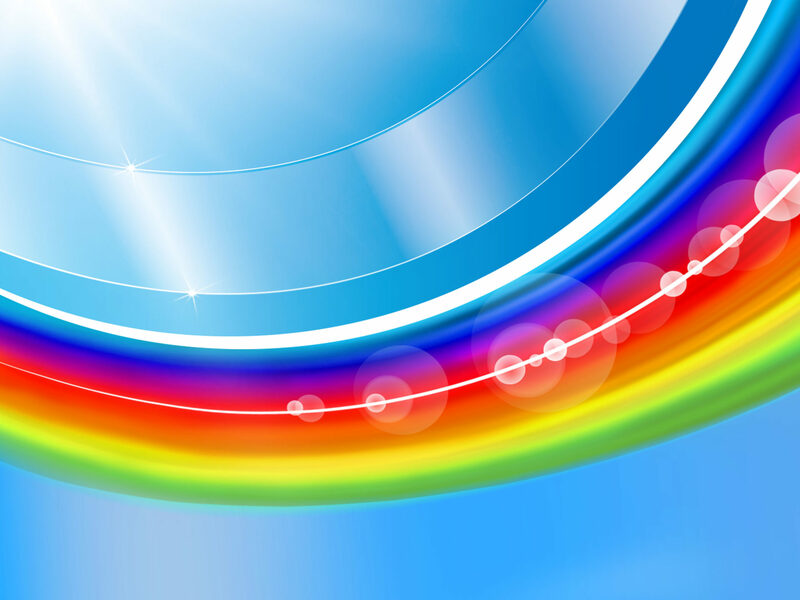 Product specific visual dramatization highlights the benefits and features at the top of the design hierarchy. 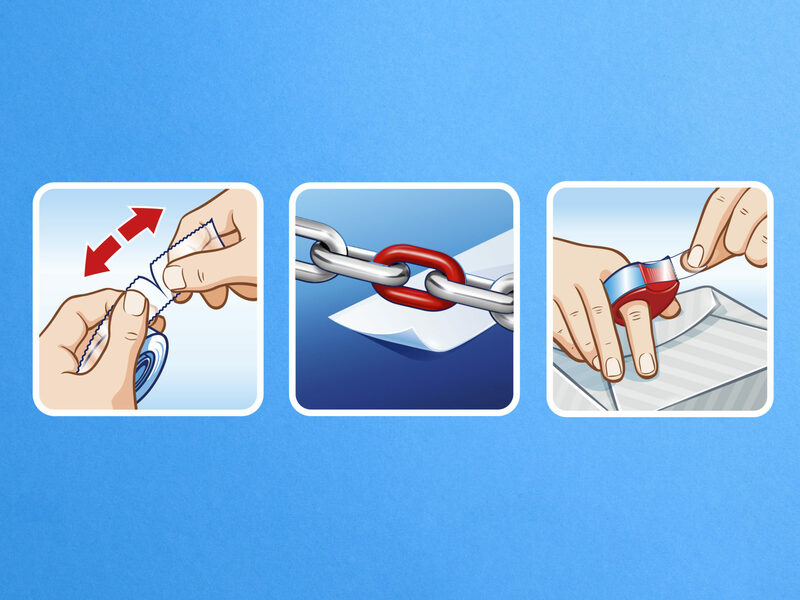 Individual and self-explanatory illustrations reinforce the nonverbal communication on all packaging. 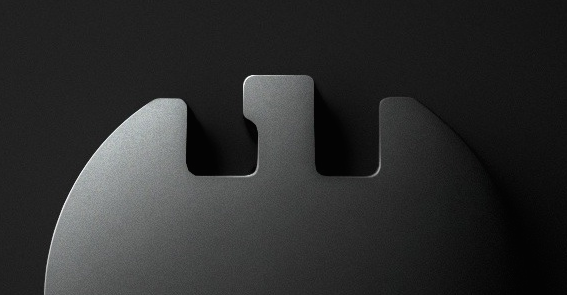 High-quality approach and consistent range appearance as a result.